Gambling is a great pastime for many whether you do it for fun or for profiteering. The thrill of gambling, however, is not just in spinning the reels, the wheel or trying to beat the world’s best hand at poker, you can enjoy gambling by yourself, with friends or family over some Coca-Cola and popcorn right in front of your TV screen. Great gambling movies have everything, entertainment, action, humour, and suspense, in addition, they impart you with helpful tips and tricks to win during your next game session be it slot games, roulette or blackjack. Some pros even attribute their good poker hands from movies. 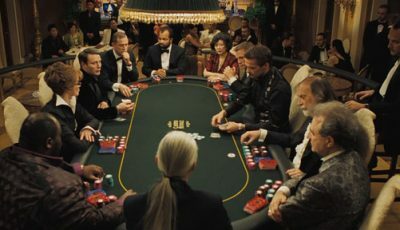 Here is a list of our top 10 all-time great gambling movies that you need to watch. 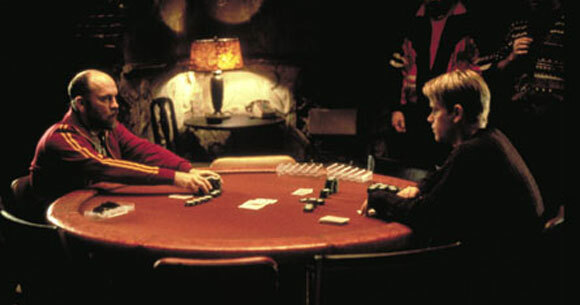 Arguably, the greatest gambling movie to date, Rounders starring the elegant Matt Damon aired for the first time in 1998. In most land-based casinos, there are some sayings you hear from one casino to another, chances are these originate from this movie. Such is the impact of Rounders that almost 30 years after its debut; it’s still quoted by both young and old casino players. The movie centres on a card shark, Matt Damon, who is striving to put himself through law school. While trying to stay out of trouble by playing by the book, Damon meets an old acquaintance who gets him into all sorts of troubles. Damon challenges an ex-KGB mob boss at the World Series of Poker in a bid to pick himself from his slumber and continue to pursue his dream of studying law. One of the best gambling movies out there. Online movie critic, Rotten Tomatoes, is known for its strictness but this movie has an impressive 98 percent rating surpassing any other gambling movie. The movie centres on Clive Owen as a writer who ditches the scribe for the glitterier role as a croupier. As he ventures into the casino world, Owen soon finds himself entangled between the blurred lives of friends and customers, bettors and dealers. 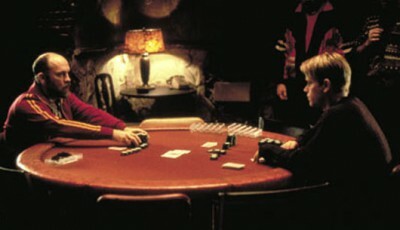 To add to his woes, Owen’s relationship with a fellow croupier turns nasty raising a high suspense level throughout the movie. 21 is an enthralling movie featuring the revered Kevin Spacey. The movie is based on a real story detailing the unscrupulous activities of the infamous MIT group that operated between 1983 and 1993. Kevin Spacey stars as the MIT professor who recruits young maths geniuses with the aim of taking down casinos world over. 21 also happens to be the breakthrough movie of Jim Sturgess and Kate Bosworth. Lay the Favourite is an adaptation of the novel of the same name. Lay the favourite follows the life of a stripper who enters the world of gambling. The stripper, Rebecca Hall, soon falls under the tutelage of a pro gambler, Bruce Willis. The relationship between the two grows quickly angering the latter’s wife, Catherine Zeta-Jones, who takes it upon herself to eliminate Rebecca Hall from her and her Husband’s lives. Jason Priestly stars in this movie as a group of four long-time friends go on a mission to repay a debt owed to an insane hitman. The group of four devise a plan to rip off a casino but their plan leads to a clash between money, loyalty, and love. 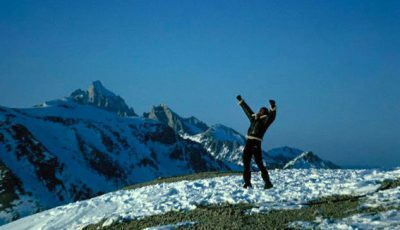 Which of these triumphs, you only know if you watch the movie. A cut above the rest when it comes to comic gambling movies. The movie is a tale of two tales, on one side, a player goes against the age-old rule in craps, never to bet on a hard four while on the other hand a family goes through an ordeal as they try to retrieve a body of one of their own after he dies while playing his favourite game, craps. A movie about the super bowl shot days before the super bowl. Life on the line tracks the lives of professional bettors highlighting their highs and lows. Life on the line is educative as it is entertaining. The movie, Mugshots, centres on the mysterious death of casino mogul, Ted Binion. Binion died in 1998 under mysterious circumstances. Mugshots highlight all the mystery surrounding his death, the suicide theory and the homicide theory. The movie lays out the details of the Binion case suggesting what could have happened. The Eight Men Out movie details the courtroom saga of the seven players from the Chicago White Sox (excluding Shoeless Joe Jackson- the eighth player) who accepted copious amounts of cash from gamblers to fix baseball matches. Many movies on Shoeless Joe Jackson tell his side of the story but few if any apart from this one tells us what happened to the rest of the team. This is one of Dean Martin’s greatest displays. A wife tries to stop her gambling-addicted husband to quit gambling. Though her plan seems to be working at first, it’s soon disturbed by the emergence of a mob that wants the husband to pay a forgotten debt. No doubt, “Rounders” remains number 1 for many reasons. “Croupier” does deserve a top spot. I always thought this picture was a little overlooked. in this picture it’s all very wrong and missing many key components. It’s just way over the top and overdone.